I love the strong aroma and bright flavor of fresh dill, so I was super excited to have a few items in the farm share this week that I knew would make delicious dill pickles. No need to drag out your canning equipment for this recipe; these refrigerator pickles are quick and easy. 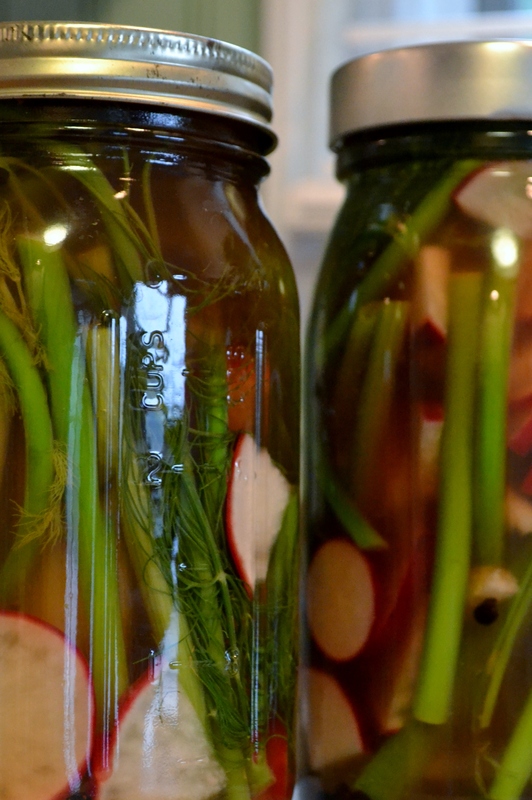 This entry was posted in Side Dishes, Uncategorized and tagged appleton farms csa, Dill, Fennel, garlic scapes, Radish, refrigerator pickles on July 12, 2013 by Megan.